Tonight a reception was organized at the Afghanistan Mission in New York. 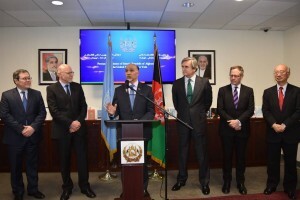 During the reception, Afghan Ambassador and Permanent Representative to the United Nation honored and farewelled former UN Security Council members Spain and New Zealand. 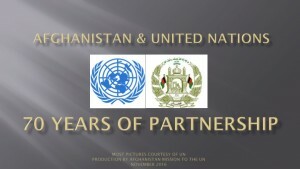 Spain served as penholder for Afghanistan during its two years of membership of the Security Council. New Zealand was the Chair of the 1988 and 1989 Sanctions Committees. Ambassador Saikal welcomed new members of the Security Council Japan and Kazakhstan. 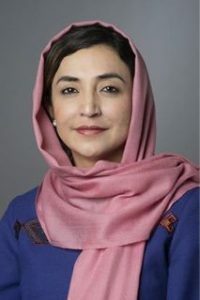 Japan is the new penholder for Afghanistan and Kazakhstan is the new Chair of the Sanctions Committees. During the reception, Ambassador Saikal also honored Germany for being a great penholder for UN General Assembly resolution on Afghanistan. Picture: Ambassador Saikal with Ambassadors and Permanenet Representatives Oyarzun(Spain), Bohemen(New Zealand), Braun(Germany), Bessho(Japan) & Deputy Permanent Representative Sadykov(Kazakhstan).